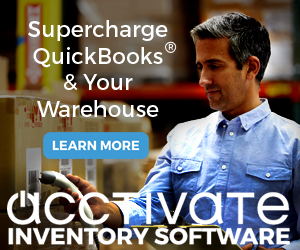 FAQ:How Can I Tell What QuickBooks “Revision” I’m Using? Very often when we talk about updates of your version of QuickBooks people don’t always know what version (or revision) they are running. It is simple to determine as I’ll show here. 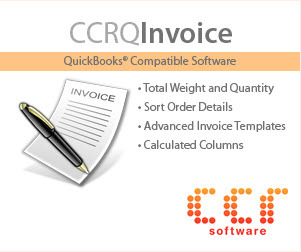 QuickBooks has several “stamps” that it will put on an invoice, such as “Paid”. Sometimes, though, you would like to add your own stamp. The simplest way is to create a customized form template. FAQ:Why Does QuickBooks Mark My Invoices as “Paid”? A common question – someone creates a new invoice and saves it, and the “Paid” stamp shows up even though a payment hasn’t been received. QuickBooks seems to constantly bombard us with advertisements and unwanted “reminders” about services. There are a couple of ways of turning many of these off, as this article describes. 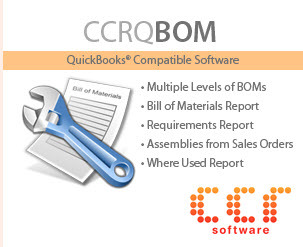 QuickBooks maintains a list of the company files that you have opened recently – the Previous Company list. You will see this if you select the Open Previous Company from the File menu, or in the No Company Open screen. Deleting the company file from your hard drive won’t get it off that list. FAQ:Why Can’t I Use the “Location” Field In The QuickBooks Item List? If you customize the columns that are displayed in the item list you will see a field named location. Everyone gets excited when they see this – locations in QuickBooks! However, this is misleading. FAQ:Why is the Customer:Job name grayed out on a QuickBooks Sales Receipt? When a Sales Receipt is paid by credit card certain information is grayed out and un-editable. This includes the Customer:Job field in the top left corner of the Sales Receipt Screen. FAQ:How Can I Find Missing Invoice Numbers in QuickBooks? If you want to know if there are some invoice numbers missing in a sequence, OR if you aren’t sure what the next invoice number should be in your sequence (if you have gotten out of sequence for some reason), you can modify the missing checks report to help. FAQ:Why Can’t I Enter A Value in the QuickBooks “Project” Field? When editing an invoice (etc.) template in QuickBooks you will see a project field, but you cannot add it to the screen. A common question is “why not?” – as people would like to use that field.